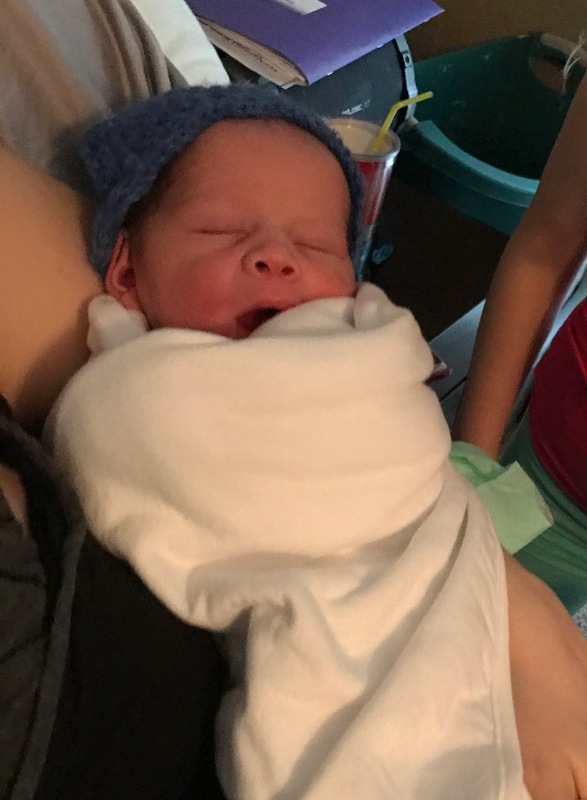 Hunter Daniel’s birth story. It was January 15th at 8:53 am that I met my first born son. Leading up to that day, that moment, I feel that the last several years of research, learning, and decisions all came together. You see, I learned of my chiropractor because of back pain, but what I gained was a new life. Not only my own, but a child, a child that gave mine a whole new meaning. I learned of a midwife in my area from that chiropractor. I knew that if I had a child that I would want to speak to her about having a more natural childbirth. I previously only knew of having children in hospitals and home birth was a very new concept to me. I had been married to a sick man and he was in and out of hospitals for almost 7 years. Surgery after surgery, bill after bill. A mountain of stress, depression, counseling, and debt. My new husband was supportive of me finding my way of birthing in an environment that, for me, did not have so many negative memories. 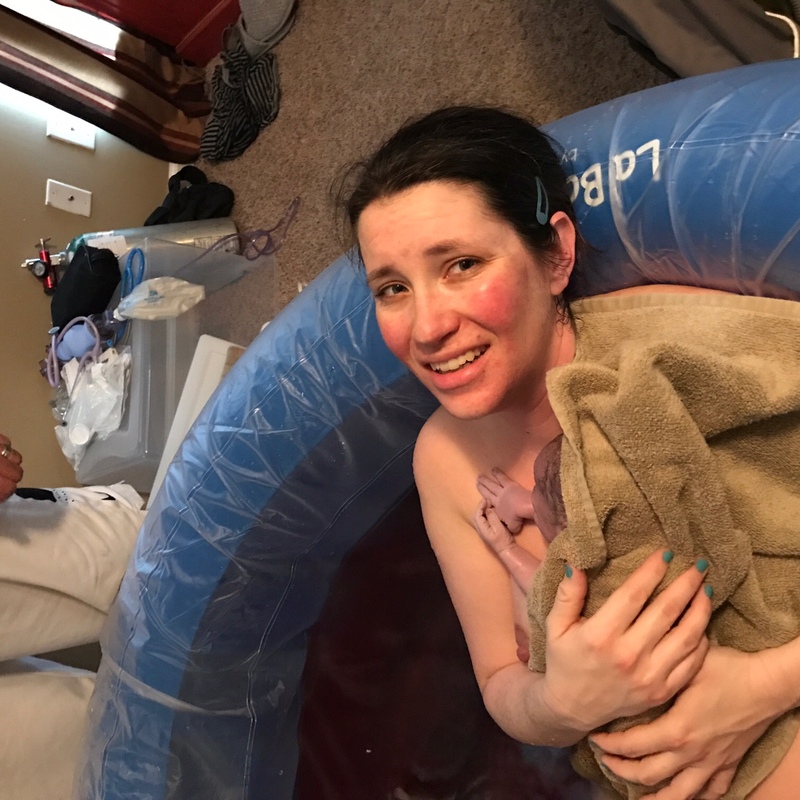 At every turn, everything I learned about home birth just felt right. So, I hired my midwife. I then learned about a class called hypnobabies. Childbirth, pain free, from self hypnosis?? Really??? Ok…I’ll look in to it. I spoke to my best friend from high school. She has 2 babies, 1 birthed at home in her bath tub. Hmm. Guess what? She used hypnobabies. She also lives in Kentucky, about 3.5 hours away from me. Well, if she did it, maybe I can. I spoke to another friend. 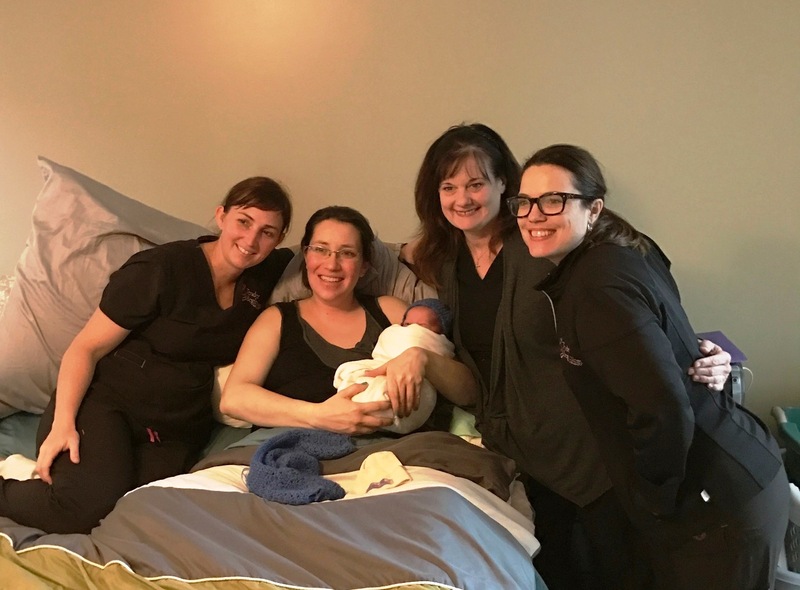 She used hypnobirthing for her natural hospital birth, and let me borrow the book. I started reading it and began to fall in love. I mentioned it to my midwife and she made me aware that they are 2 different programs and that she recommended the hypnobabies. I found the website and read everything, literally. What it meant for Christians and how hypnosis is not some crazy devil worship! Haha! My dad is a pastor and I needed some evidence so I could explain if needed! (Side note: I didn’t have to!) I also learned about a pregnancy “bump camp” with an exercise class and education for a week. It was there that I got to sample hypnobabies. I was 18 weeks pregnant and had been struggling with insomnia. I fell asleep in my sample hypnosis. I immediately came home and told my husband. So, I signed up for the class. As we started accumulating new baby items, my husband and I realized that our current house (only 3 br, 1.5 bath and only 1100 sq ft) was just too small for 7 people! We began looking for homes and finally moved in on December 1st, 2016. At 34 weeks pregnant, still working full time, and all the appointments and birth decisions, I was pretty stressed just to get my house to a point of being functional. Set up the birth tub, gather all the supplies, clean this new house….can we say nesting??? I have 4 step children born from my heart. I needed a plan for them for the birthing time. I would be 40 weeks on Tuesday, January 17th. We could keep them those 2 weekends before, and because *most* first time moms go beyond their guess date, I would be in my birthing time after they went home and have a couple weeks to adjust and heal before I had to take care of 5 children! At least, that was the plan. Lol. My grandfather was in hospice and not doing very well. Our heavenly father took him home on January 5th. The funeral was on the day before my 36th birthday. That was Thursday the 12th. On Friday, my birthday, we picked up the kids. My step daughter really wanted to give the dogs a bath at tractor supply, so she and I went and bathed both dogs by ourselves. I lifted my 17 year old, 50 lb dog in and out of our car. My husband had to work, so we decided to celebrate on Saturday. That afternoon, 2 of the boys had a basketball game in Franklin. At 39 weeks pregnant, my hips, back, and groin were feeling quite a bit of pressure. That night I decided I wanted to go eat at a hibachi grill. I found a local place and we went. Turns out it was an Asian buffet with a hibachi grill option. Blah. No fun. The food was horrible and I went home disappointed but we all laughed about the experience. We came home and had family movie night complete with homemade popcorn with tons of butter and salt and candy. After everyone went to bed, I felt like I needed to clean up the house because it was planned for my parents and my sister’s family to come over Sunday afternoon and have cake and ice cream to celebrate my birthday. I cleaned the whole kitchen, did 4 loads of laundry, and cleaned both bathrooms. About midnight, I decided I was exhausted and laid down in bed. I could not get comfortable. Same story as the previous weeks, but this felt different. Maybe I overworked myself today. Sigh. I tried listening to my tracks but never fell asleep. I was relaxed. About 3 am, I decided to try the couch. That had worked in the past for comfort. I realized that I could tell my belly was tightening. I thought, well, let me just play with my timer app on my phone and see how it works. I started timing. They were about 4-5 minutes apart and about 1 min. Long. However, there were some other ones that weren’t so long and some further apart. I knew that this needed to continue for at least an hour. I kept timing. I decided to relax in our bath tub. At 4 am, I decided to wake my husband. Hey….can you help me with this? I’m not 100% sure if I’m doing this right. He started the timer on his phone, and I wasn’t quite sure when to tell him when they stopped. They just faded away. We continued for another hour. At 5 am, I said, let’s call my midwife. He called and spoke to her. We also sent the info from my husband’s phone to her by email. She thought I was in prodromal birth and asked how much water had I consumed (about 2 quarts in the last 4 hours) and see if I could rest. You see, I was still communicating through my pressure waves. I decided to take back the responsibility of timing my waves. I was getting frustrated at this point because I knew I wanted to listen to my tracks but couldn’t listen and time on the same phone. I turned off my light switch. Then center. Deep breaths. After a few more waves, I sent my midwife the info from my phone to her email. The waves were now coming 2 minutes apart and were longer than a minute. If I am in prodromal birth, then something is wrong. I need help. I started crying. How could I go through all of this again? How is this not real? I told my husband, I don’t think I can do this anymore! I went to the bathroom and puked 5 times. Luckily, it was mainly water! About 5:30 am, I told my husband that he needed to call her back. When she answered, she said, I’m on my way, I got the info from the other email. She and my husband spoke some more. I turned on my birthing day affirmation track. At this point, timing and details get really fuzzy for me. When she arrived, she looked at me and said, “Are you ready to have a baby today?” That was the best thing anyone has ever said to me! Haha! Confirmation, intention, and a destination. I was determined again. She and her team began setting up. I found out later that we ran out of hot water while they were trying to fill up the birth tub. They had all the pots on the stove to heat water, electric kettles steaming, and herbs steeping. I looked at my midwife, who had the fetal heart rate monitor on my belly, and said, I don’t think my water has broken yet. Well, a few waves later, there she blows!!!! Thank god I was sitting on the toilet! It felt like a water balloon popped! My eyes opened wide and my midwife yelled at her assistants, “Her water just broke!!!”. Now I’m getting excited! Ok. Whoa. Let’s focus. That wave was intense. I laughed, but hesitantly. I asked how far along I was. At this point, I wanted to know some kind of progress. The birth tub was finally prepared and I carefully walked to my bed. I struggled to lie down, but managed my side. My midwife’s student checked me and said, “oh my! His head is right there! She’s about ready to push!” Thank you Jesus. I got in the tub and it felt soooooo good. They kept pouring in warm water and I just soaked it up. I sat on my bottom for awhile but was uncomfortable. I got on all 4’s and felt great. I swayed back and forth. I started my next track. Honestly, I don’t remember which one it was. My husband picked it. I was getting really warm and so they put a cold wet rag on the back of my neck. Lovely. Take sips of coconut water. Ugh… slightly nauseous…a sniff of peppermint oil….gone. sips of regular water was delightful. At some point, my midwife’s student mentioned it had been an hour since relieving my bladder and I needed to try to eliminate. I remember her saying this, but have no clue where in the story it came to play or what came of it. It was also planned for my sister to come take photos of the birth. She lived 1.5 hours away. When my midwife asked if I wanted her to come, I said no. She was going to have to pick up my mom, my aftercare person, who had just had double knee surgery, and couldn’t drive! My husband contacted her during my birthing time and she drove to pick up my mom from church! I was enjoying the birth tub but staying on all 4’s was beginning to wear on my wrists and arms. I got a minor cramp in my left hamstring, but when I straightened my leg some, it went away quickly. I started to feel a little cramped for space. Uuuuuuuuuuggggggghhhhhhhhhhh……………. Whoa! My stomach just pushed. That was amazing. I was so relieved to not be doing the same thing anymore. This was new! My husband started the pushing baby out track. I had it playing on my headphones because I didn’t realize what track it was. I was so focused. My midwife instructed that I would need to try to get 3 pushes in with every wave. 2 steps forward, 1 step back. I could feel his head coming and going. I didn’t like the feeling, nor the thought, of his head going back in….and I typically held him down with my muscles. I said, “My baby is ready to be born now.” I heard an echo of “amen!’, “Hallelujah!”, and “Praise Jesus!”. I was slightly startled by this realizing I had actually said that out loud! I smiled and went deeper into hypnosis. I pushed some more and I felt the incredible relief of his head making its way out. His shoulders and the rest of his little body came without a push. They put him on my back. I carefully turned over, and was handed a gift of indescribable love. I felt so relieved. I moved to my bed to deliver the placenta. That felt amazing!!! It felt like a weight was lifted. My husband cut the cord. His 3 brothers and sister were able to meet him before they went home the next day! Hunter Daniel was born on Sunday, January 15th, 2017 at 8:53 am. 7 lbs. 6 oz. 21 in. Just under 6 hours of active birthing, and found out he was asynclitic (turned sideways)!!! !